1950's vintage bakelite earrings. Cerise (dark pink) bakelite and silver tone base metal. 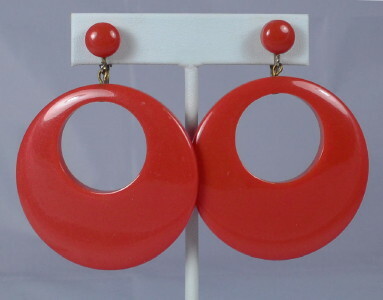 Large circular drop hoop earrings, asymmetric circular opening. Round dome button front at clip backs. Semichrome tested. All original mid century era, true 1950's vintage.